The privileged benefit in the Start Your Own Gold Mine program is the machinery worth US $50,000 that is provided to our clients who respect human rights and environment with the purpose to speed up the mining production for the first 5 kilograms of gold. The mining equipment provided as privileged benefit to our clients consists of excavation equipment such as winches, compressors, jackhammers, explosives, then rock crushing and rock milling equipment and transportation means. The program for US $22,000 is conducted with majority of the rock and mineral processing equipment provided as privileged benefit from our side to our client. Initial fee is US $22,000. There is choice of over 260+ locations, which means that gold bearing ores will be located, and you will make a choice based on best situation. You will not be engaged in exploration, but in processing of the ores to recover gold. Full SYOGM™ Gold Recovery Plant is constructed for you, and you can handle 80 tonnes per day of soft soil, or crushed and milled ores, or alluvial ores. This mining equipment becomes yours. It has dynamic process of assembly, and depends of the ores and gold particles at place. Multiple teams can work with it, maybe 5 teams on one location. One licensed land is provided under your control, under the contract with local partner, and you can always come back to us, and ask for another land in case it becomes necessary. We build houses for you and workers out of CEB or Compressed Earth Blocks, they will look nice. 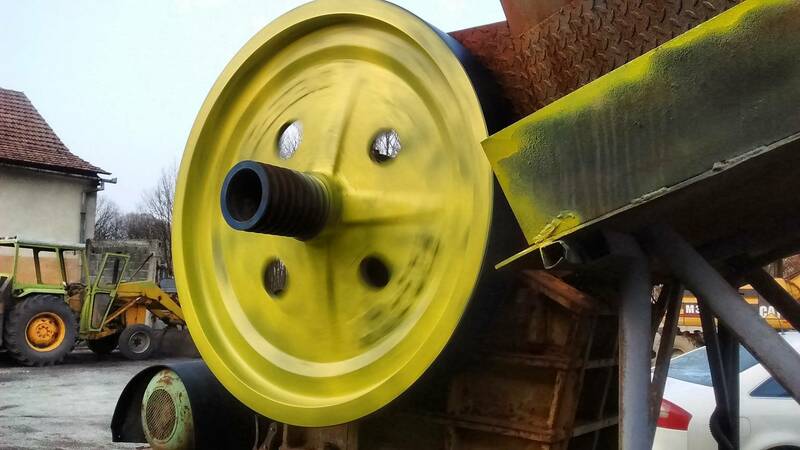 As a privileged benefit to you, we are providing machinery worth US $50,000, such as jaw crushers, rock mills, and other equipment, so that target of first 5 kilograms may be achieved. Once 5 kilograms is achieved, you will retain 3 kilograms, and 2 kilograms for us as award. You can continue mining on your own without any sharing, you are free to continue, and program is finished. In this program we are providing you with the full mining equipment, so no privileged benefit is there. You are also not sharing any gold with us. This is faster entrance into gold mining. Payment of US $66,000 is final payment, there is no award for us on the end of the program. All equipment is provided to you, jaw crushers for minimum of 5 tonnes of rocks per hour, and rock milling for 5 tonnes per hour, SYOGM™ Gold Recovery Plant, and everything else. We work with you until you are fully trained, and ready and have produced first 3 kilograms for you. You have one or more licensed lands under your control, and running gold mining business. Could you explain in details the differents between a minimal investment of about US 22.000$ and US 66.000$? Number one when working with me is to understand that we are doing gold mining business in a way that we cannot in any way employ neither children, neither follow anything illegal, we do not use bribes, we cooperate with authorities, we have good connections, and we do not deteriorate environment and do not use neither mercury or cyanide. So there are some conditions to follow. 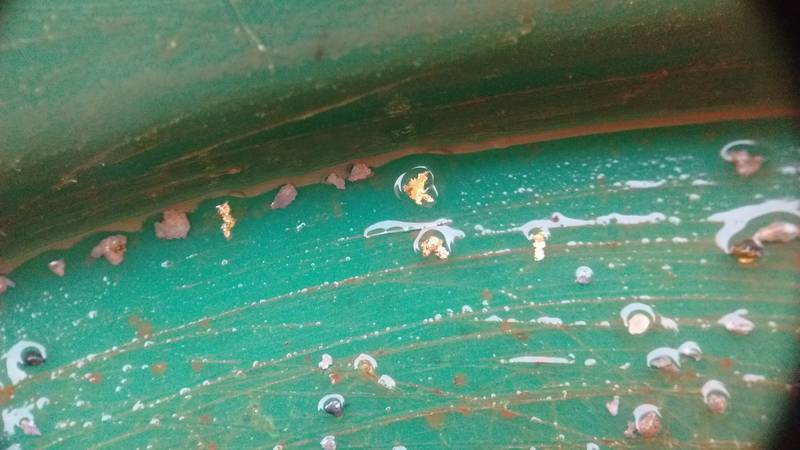 Every American and every Canadian, and Australian and European gold miner in small scale, normally is not using mercury. We do not use the old technologies from old times. Mercury cannot catch all kinds of gold, and we are working in ordered and disciplined manner. Could you explain in details the difference between a minimal investment of about US 22.000$ and US 66.000$? In both ways, we are guiding you, consulting you, giving you best methods, advising you, establishing necessary fundamentals of gold mining business for you, the process is all the same. The program is then finished when you have got 3 kilograms of gold. We count that gold after the taxes, after expenses. That means if you have expense and taxes 40% then that means that you will produce maybe 5000 grams. Provided that you have learned everything, and can manage your company on your own, and you say it is good and right and you have got pure 3000 grams (5000 grams brutto for example), the contract is finished and goal have been achieved. You can continue producing gold for as long as you wish. You may invest in your business additional equipment, resources, as much as you wish. You are free always to do so. In the program with $66,000 and that is your final amount that you are paying to us, you are not sharing any gold with us. And you would receive the specific equipment that can help you handle minimum 5 tonnes of hard rocks per hour, and process and mill the 5 tonnes of rock ore per hour. So if you work on the mining land with 10 grams per tonne, you can make 5 tonnes x 10 grams per hour, and in 20 hours of work you can make even one kilogram in one day. It is our obligation in the program US $66,000 to provide you with capacity to actually handle, process 5 tonnes of ore per hour, so we provide you with machines and full equipment, and we help you expand, and enable production until you made first 3 kilograms. All the money is paid in advance to our company. Machines are purchased in Balkan area, and larger part is produced in Balkan area in our workshop in Croatia. 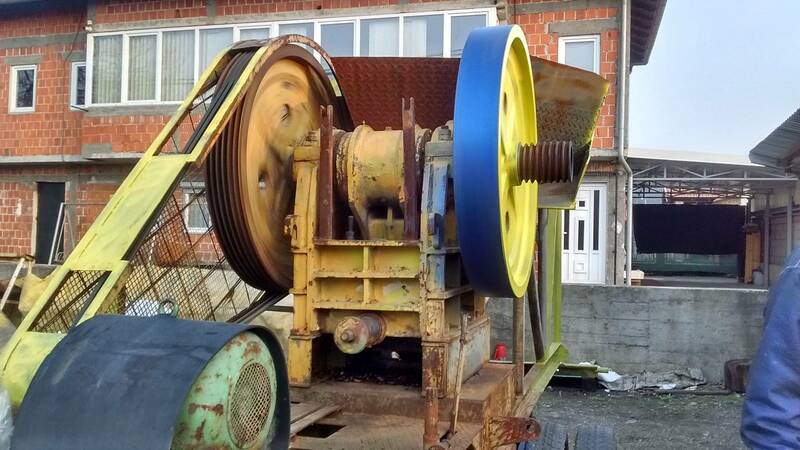 Some machines may be purchased in Bosnia or Serbia where we know good manufacturer and are acquiring used mining equipment. You are of course provided with the best gold recovery system that we know and we have to make it partially in USA, partially in Europe in Croatia and complete assembly is done on ground. That is called SYOGM™ Gold Recovery Plant. We do not buy rock crushing and milling equipment from China anymore. Risks when purchasing from China are very high, and equipment is even 10 times more expensive then if we are manufacturing the equipment in our own workshop. So, no. We will not buy equipment from China any more for anything related to rock processing. In the program US $66,000 you are faster in implementation. Your preparation can start already in your country, and matters of learning and preparing for the ground later are most important for gold mining in Tanzania. If I would know what I know today, I would not move to Tanzania in 2012, I would simply prepare myself in Europe, put the stuff in container, and then move there. The program US $22,000 is the same in principle. However, you are to share from 5 kilograms, 2 kilograms with us. So our final payment is not only US $22,000 but we also get 2 kilograms. You are provided with the best gold recovery system that we know and we have to make it partially in USA, partially in Europe in Croatia and complete assembly is done on ground. That is called SYOGM™ Gold Recovery Plant. And you learn how to make it yourself, and all the background about it. Provided you respect conditions above (no child work, respect to environment, no corruption, no mercury) then we provide you with the privileged benefit. That is privilege, not our obligation. That privilege are the machines for crushing and milling rocks. So we are borrowing you for the time being, machines so that you can handle enough rocks, and become faster until you make 5 kilograms of gold. You are expected to invest or purchase such machines yourself during your development. Privilege is not an obligation. We are guiding you and helping you. All obstacles may be legally and practically solved. I have gone through all that multiple times and I am building a business for us that is to make half million or one million per month. You can do the same and you will be practically sharing all the insights of the gold mining business that has been developed. So in the program with US $22,000 you are moving little slower, you are first starting to produce gold, and then you are using our machines, and your SYOGM™ Gold Recovery Plant, and you are making 10-20 or 30-50 grams per day. Once you have done 5 kilograms pure, we get 2 kilograms. All the choice of machinery is ours. We are free to choose whatever we think is better for you, and we do have income in this business. In the program US $66,000, majority of provisions are same. Just that we are providing you with full machinery from the start, so you would get all machines necessary to handle 5 tonnes per hour, and you can easily reach 3 kilograms. You still need to learn all the details of the business. What i really want to understand the US dollar amount that we should pay before we start the production of gold? It is either US $22,000 or US $66,000. Amounts are payable in full, and in advance, after signing up the contract. You always need to have additional US $8,000 minimum in your pocket to cover up for your expenses, and expenses of the residency and whatever you may need for your living. I ask you this because we don't know each other, so what is possible i prefer pay when i start the production. 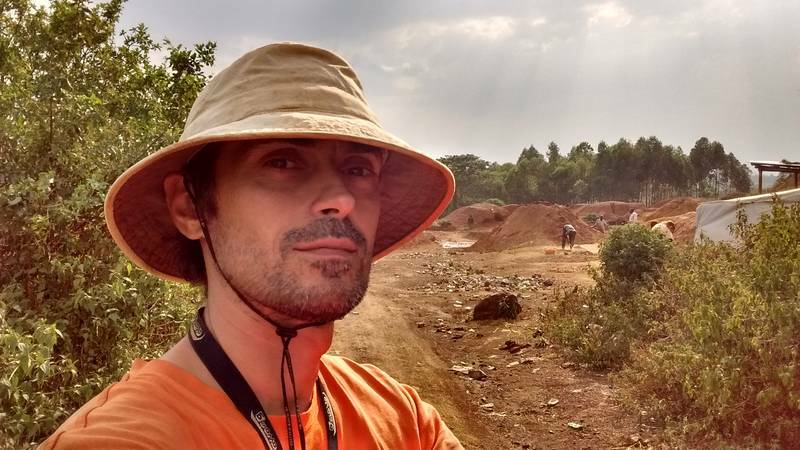 You are learning how to choose the mining land, how to start production on your own, how to maintain it and how to replicate that each time on a new mining land. I am very certain that our service is well worth for each gold miner in small scale business. If you wish to take over an existing business, such business that has been already established is not sold for those amounts, with half a million dollar is minimum. When machines are already on place, somebody already invested, mining land is developed, and several kilograms can be produced monthly, those businesses are well priced. I understand you asked that you prefer to pay when you start production. What you are asking with that question is basically months of my work to be done for free, and a loan for money that is necesary to actually manufacture the necessary machines and the whole business setup. That would not be fair, and there would be no fair exchange. The mining site which I have right now, I would never exchange for $66,000 dollars, that is not worth for me. The production is there, and we would not have any use to sell it. We have the use to bring machines ourselves to our mining site and do the business. So when we are providing you a service, we are also getting paid fairly, and we provide you with the service that you become able to produce gold. Right now I think the best is for you to meet and speak, and that all your questions are answered faster. when we decide which kind of investment we should made, you need 45 days to prepare the new company, it's correct? 45 days refer to the time required to start production. That time is counted once your company is registered, and once you and me we are both on the ground together.